The Department of the Budget was created by the Westchester County Charter adopted in 1937. Before that time, the Commissioner of Budget and Accounts was responsible for preparing the county's annual budget and monitoring the county government's adherence to it. 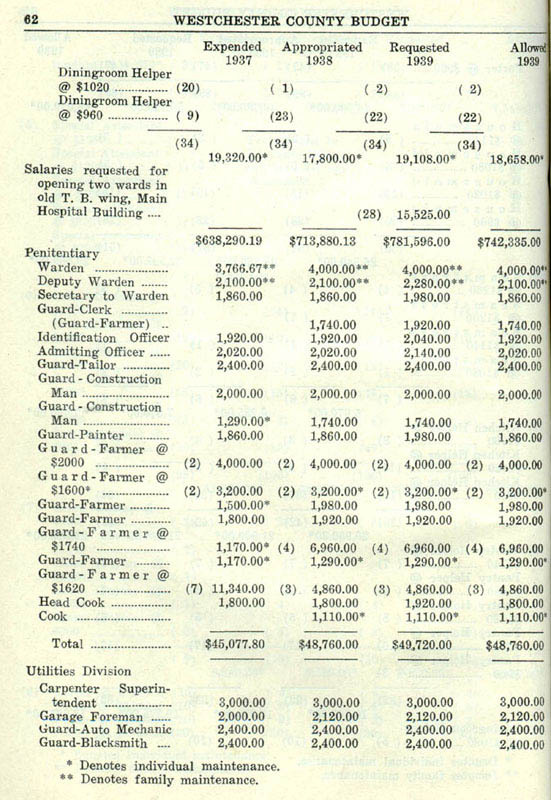 The Archives has a complete run of County budgets, from 1930 to the present, beginning in Series 110 listed below and continued in our Government Publications collection. 12 cubic ft. Chronological. View box and folder list. Proposed, Operating, and Capital County budgets and Community College budgets. Also included are the proposed and operating Budget-in-Brief publications.